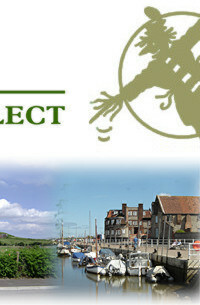 BOOKS WRITTEN about and in the Norfolk Dialect remain extremely popular, although several have been long out of print. It is worth hunting round the shelves of secondhand bookshops in search of them, while libraries are always ready to help. Here is a list of recommended reading, by no means comprehensive but a useful starting point for any enthusiasts. M Brindid and produced by Jim Baldwin, Fakenham. 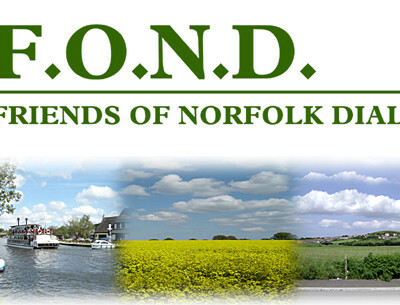 Broad Norfolk; being a series of articles and letters reprinted from the Eastern Daily Press. Published 1893 by Norfolk News Co., Norwich, editor Harry Cozens-Hardy. Tony Clarke; Mighta Bin Wuss, tales of the Boy Jimma, Nostalgia Publications, 1998, and Thass A Rum Ow Job, more tales of the Boy Jimma, Nostalgia Publications, 1999. W N Dew; A Dyshe of Norfolk Dumplings. First published in 1898 by Jarrold Publishers. Republished 1973. Ida Fenn; Tales of a Countryman  stories of the Boy Jimma in Norfolk dialect. Published 1973 by Geo R Reeve Ltd, Wymondham. Robert Forby; The Vocabulary of East Anglia. Two volumes originally published in 1830. Reprinted 1970 by Latimer Trend & Co. Ltd.
19 March, 1949. Published 1949. Broad Norfolk published in 1973 by Wensum Books of Norwich. Edward Gillett; The Song of Solomon in the Norfolk Dialect. From the authorised English Version. First printed 1861, published 1862 by Thew, King's Lynn. Republished 1993 by Larks Press, Guist Bottom, East Dereham. Sidney Grapes; The Boy John Letters. First published in volume form by Norfolk News Co. 1958. Published by Wensum Books, 1974. Lilias Rider Haggard (Edited); I Walked By Night, being the life and history of the King of the Norfolk Poachers. First published in 1935 by Nicholson and Watson, London. She also edited The Rabbit Skin Cap, a tale of a Norfolk countrymans youth. First published 1939. Reprinted by the Norfolk Library, 1974, 1975, 1976. John Kett; three volumes of dialect poems; Thas a Rumun, Bor, 1973, Thas a Rumun Tew, published in 1973 by Baron Publishing, Woodbridge, and Watcher Bor published by Wensum Books, 1979. Robert Malster; The Mardlers Companion, a Dictionary of East Anglian Dialect, Malthouse Press, 1999. Mary Mann; The Fields of Dulditch, first published in 1902. Reissued 1976 by Boydell Press, Ipswich, and Tales of Victorian Norfolk, published by Morrow and Co., Bungay, 1991. John Greaves Nall; Glossary of the Dialect and Provincialisms of East Anglia, originally published in 1866 by Longmans, Green, Reeder and Dyer, London. Old Barney; A series of broadcasts on BBC Radio Norfolk in three volumes edited by Keith Skipper: Dew Yew Keep a' Troshin', 1984, Down at the Datty Duck, 1985, and Dunt Fergit Ter Hevver Larf, 1986. 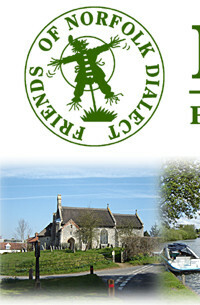 All published by Jim Baldwin, Fakenham. Colin Riches; Bible stories in the Norfolk dialect, Dew Yew Lissen Hare, published 1975 by George Nobbs Publishing, and Orl Bewtiful an New, published 1978 by F Crowe & Sons, Ltd., Norwich. Walter Rye; Glossary of Words Used in East Anglia, published 1895 for the English Dialect Society by Henry Frowde, Oxford University Press. Keith Skipper; The Norfolk Companion, Jim Baldwin Publishing, 1994, Larn Yarself Norfolk, a comprehensive guide to the Norfolk Dialect, Nostalgia Publications, 1996, Hev Yew Gotta Loight, Boy?, the life and lyrics of Allan Smethurst, The Singing Postman, Countryside Books, 2001. James Spilling; Giles Trip to London, first published by Jarrold Publishing, 1872. Facsimile edition in 1998. B Knyvet Wilson; Norfolk Tales and Memories, published 1930, More Norfolk Tales and Memories, 1931, both published by Jarrold and Sons Ltd.
Arnold Wesker; The Wesker Trilogy, including Roots (set in Norfolk) published 1984 by Penguin Books Ltd., Harmondsworth, Middlesex. There are many dialect articles to be culled from old copies of both the Norfolk Magazine and the East Anglian Magazine. For many years Maurice Woods contributed Harberts News from Dumpton, to the Norwich Mercury series of weekly newspapers. In more recent times, Michael Brindid contributed letters in the Boy John tradition to the EDP. This mantle has now been passed to The Gal Liza, whose dialect offering appears at the start of each month.